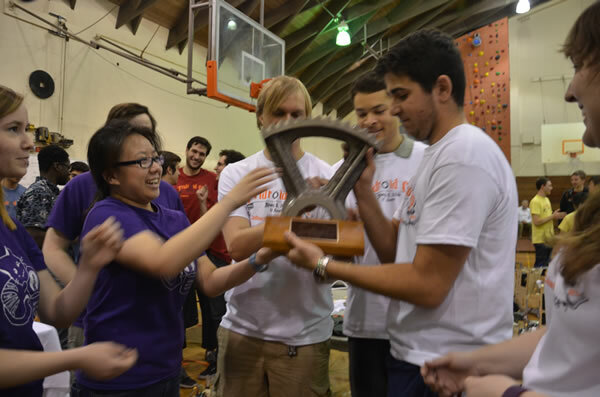 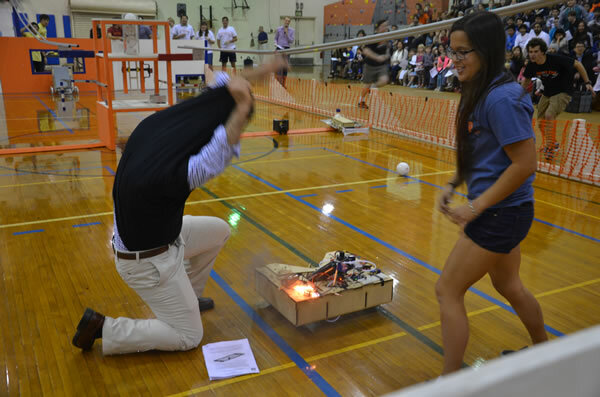 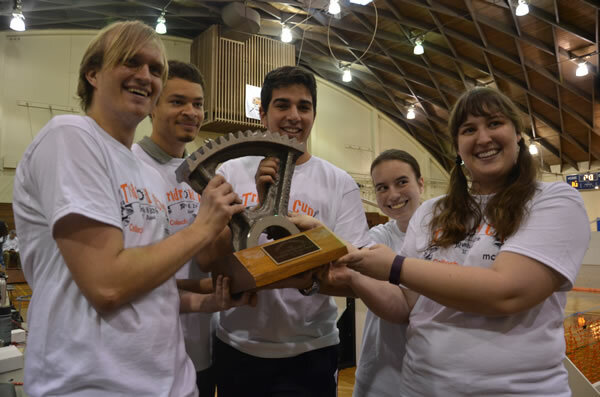 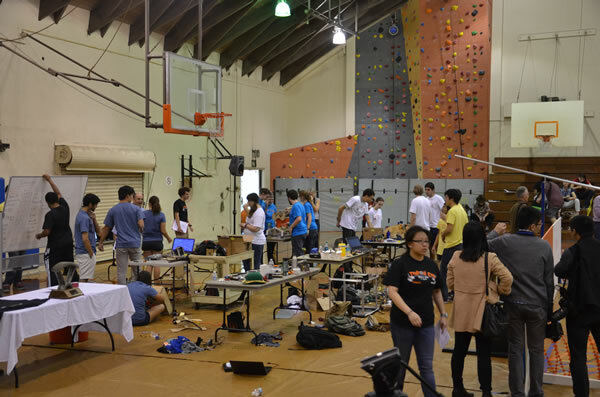 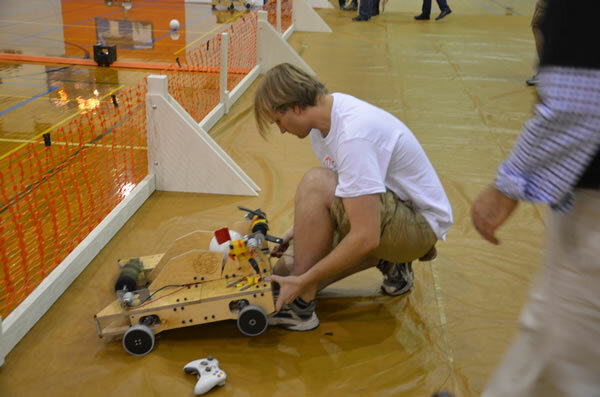 Compete and withstand the physical rigors of a robot soccer matches played within a 24-ft x 48-ft arena in the Brown Gym. 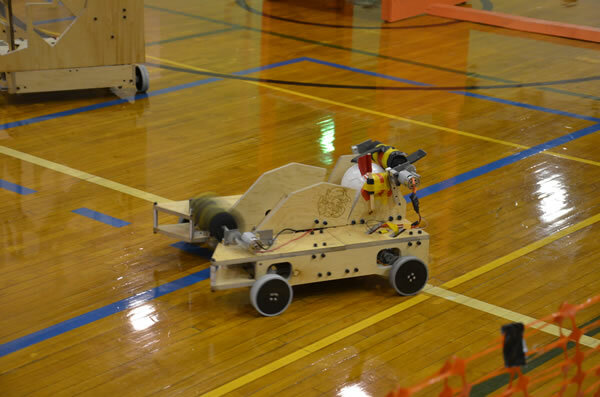 Operate autonomously during a 20 s period at the start of each match. 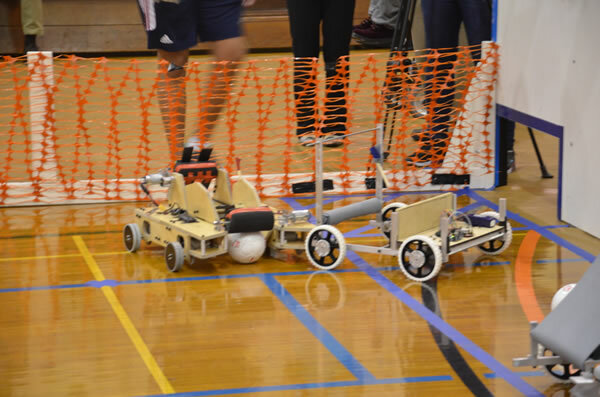 Operate under radio control for a 4-minute period and successfully navigate the field and barriers, while collecting, and shooting size-1 soccer balls into designated goals at opposing ends of the field. 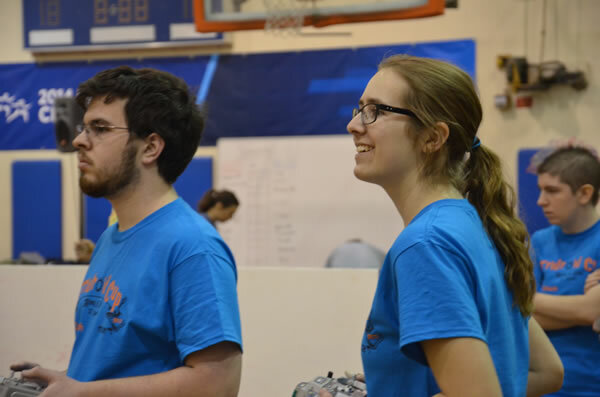 Collect and secure as many soccer balls as possible and deposit or launch them into designated goals in order to accumulate as many points as possible during a match. 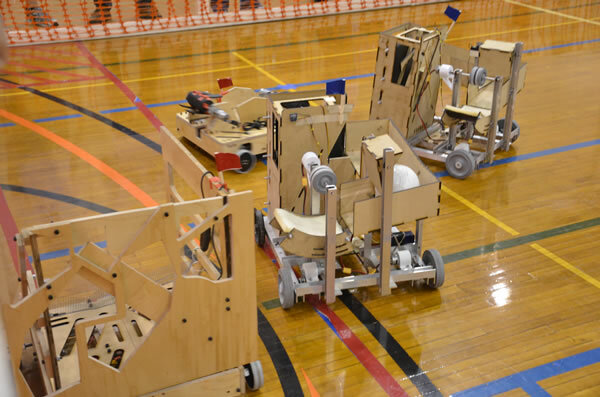 Defend their goals and attempt to prevent opponents from scoring. 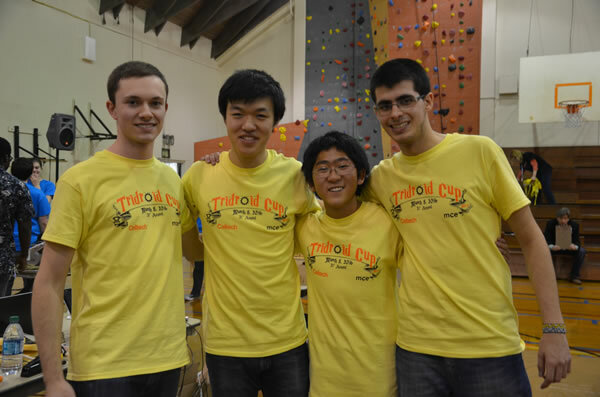 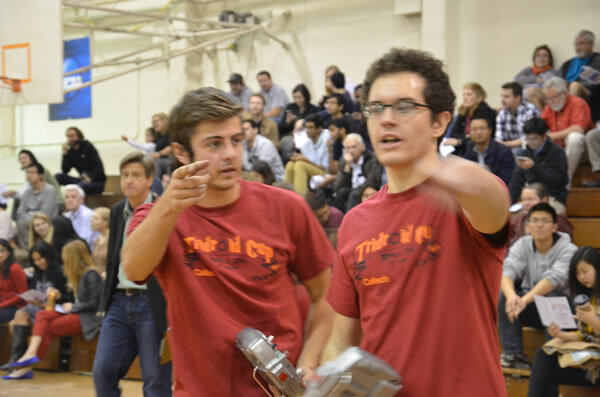 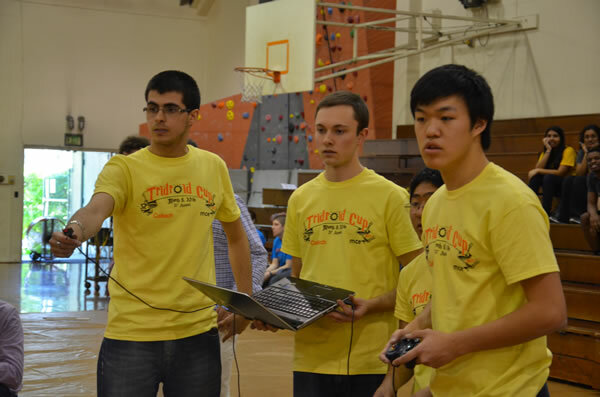 Outscore their opponent robots and be the last team standing at the end of the extended double elimination tournament. 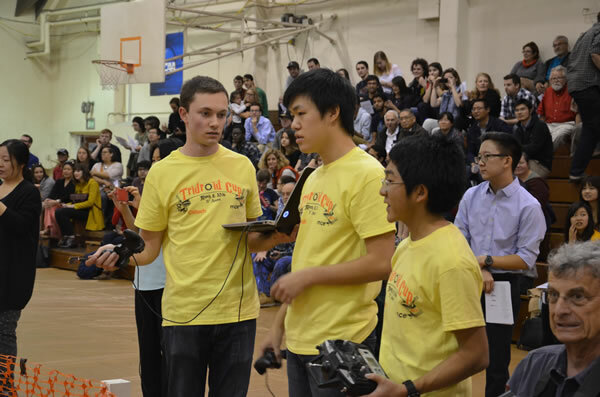 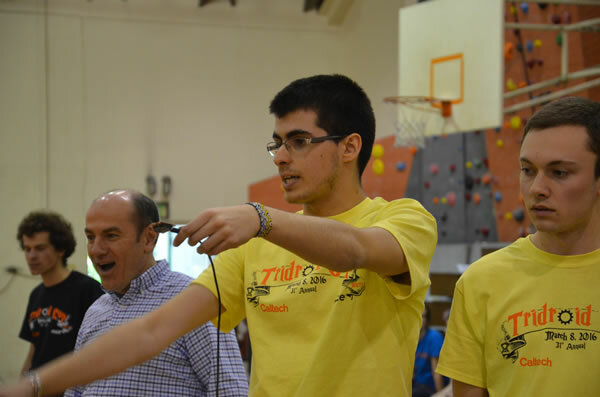 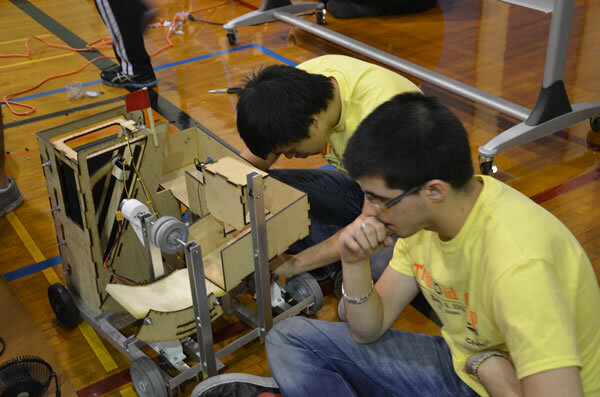 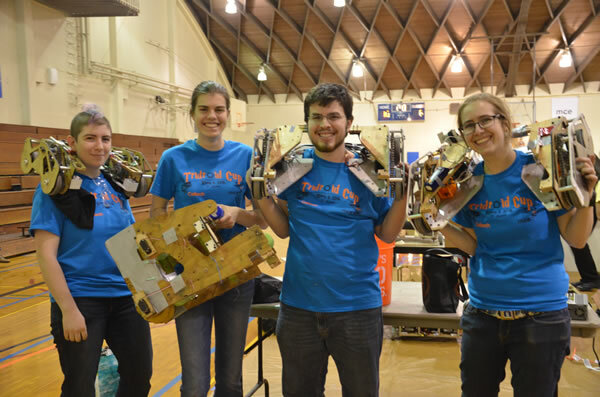 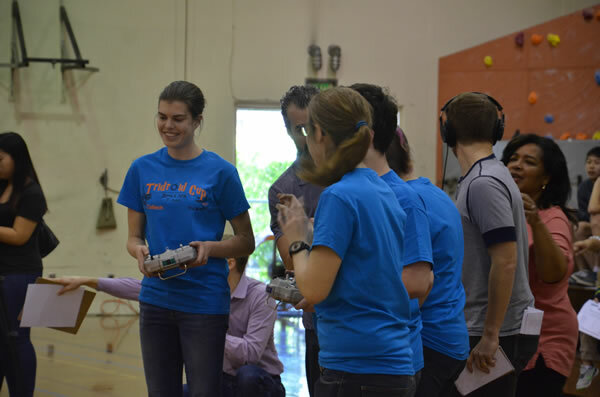 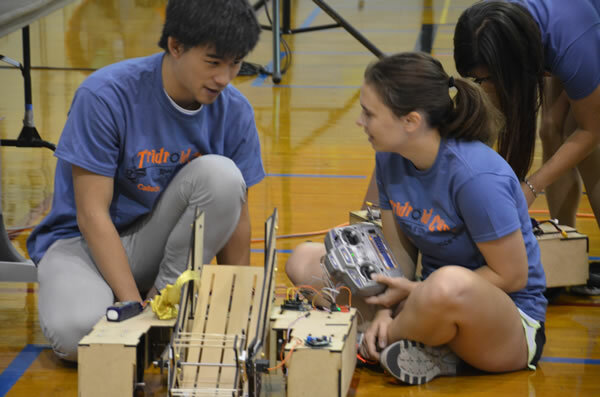 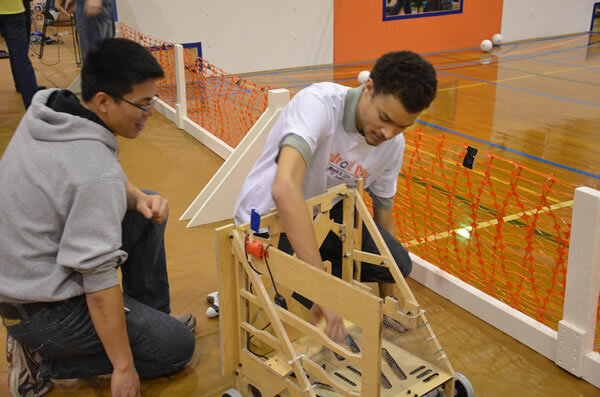 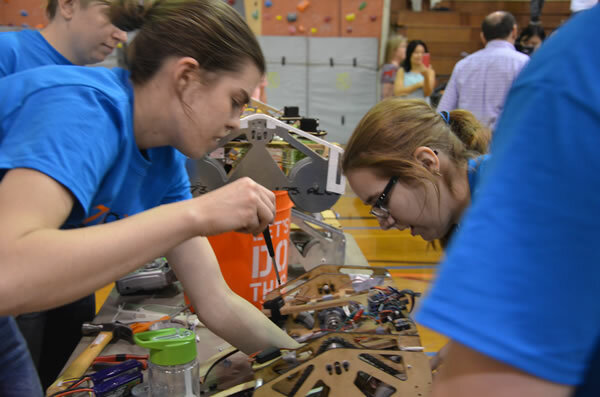 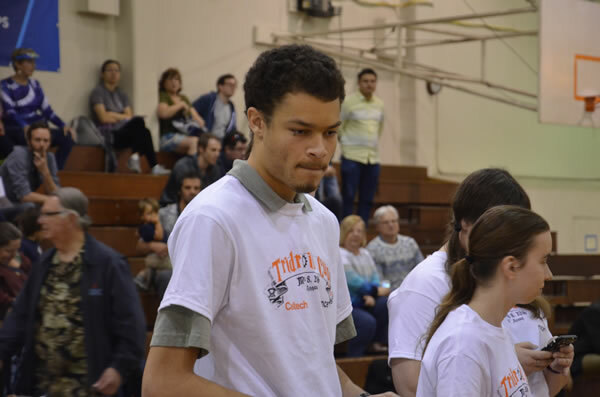 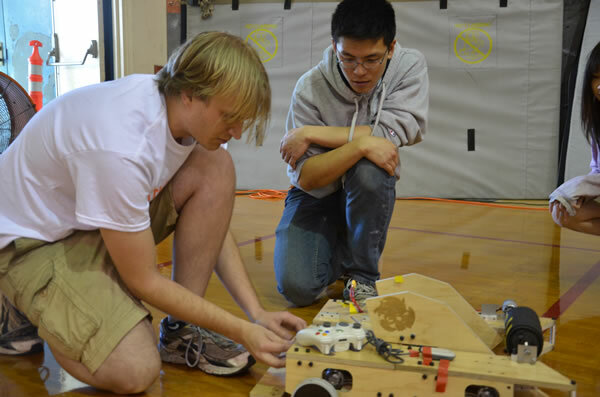 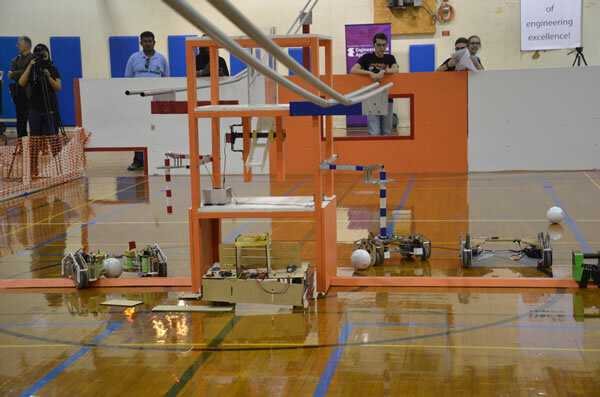 Each team will field up to 3 robots at a time, which are operated under radio control by team members stationed along each side of the playing field. 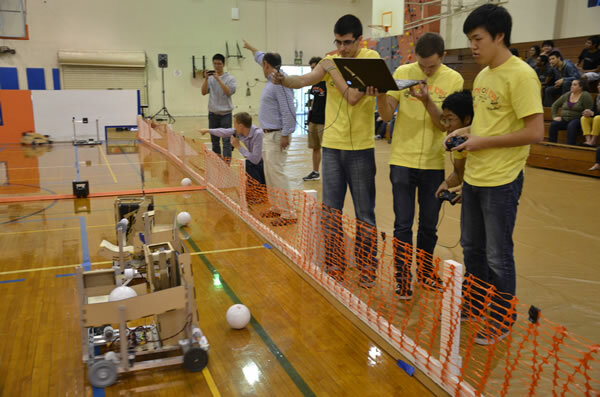 Matches are played with twelve (6-in diameter) soccer balls on the field at any given time and teams must earn points by depositing soccer balls into any one of 3 goals stationed at each end of the playing field. 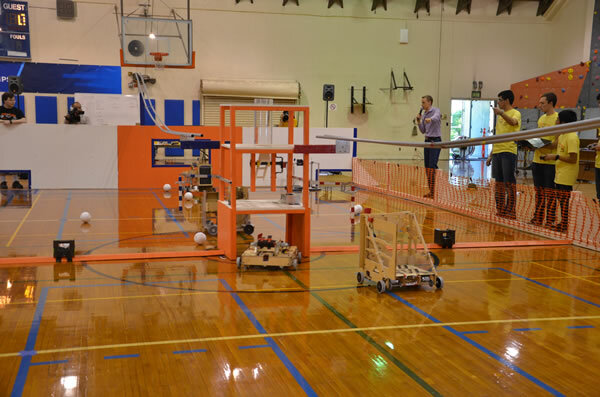 The playing field features a central tower with ball release mechanism, and an elevated barrier, which spans the width of the field and divides the playing field into 2 zones. 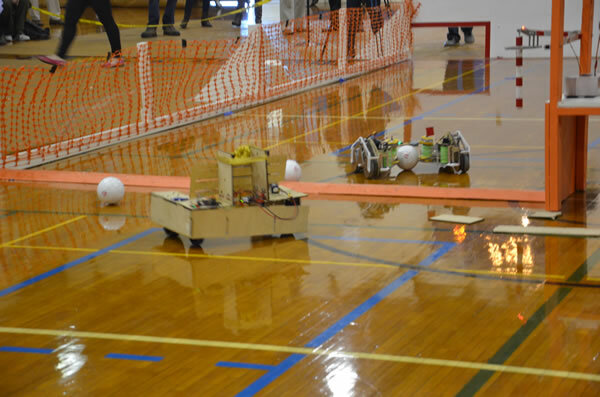 A tunnel beneath the tower provides passage between the two primary field zones. 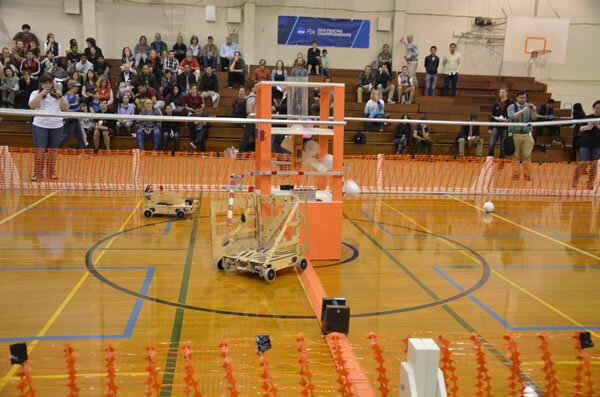 Robots can drive the length of the field by going through the tunnel or crossing the center elevated field divider. 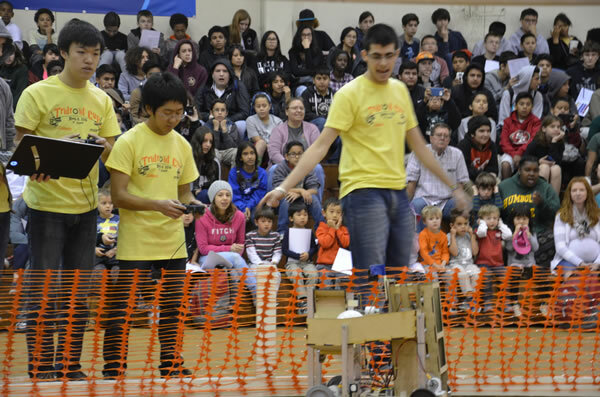 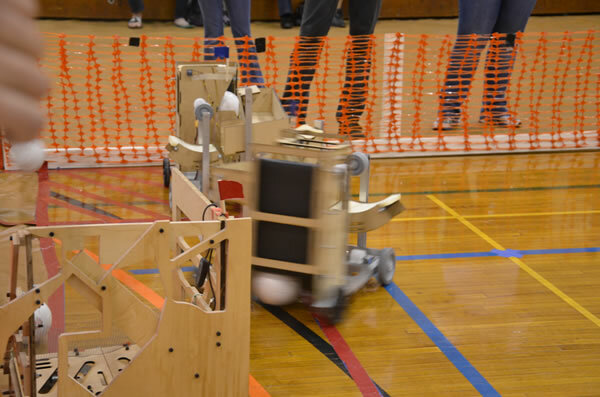 At the start of each match robots will autonomously race toward a release mechanism (switch) positioned on their side of the field, which is designed to release the remaining four balls from the holding bin. 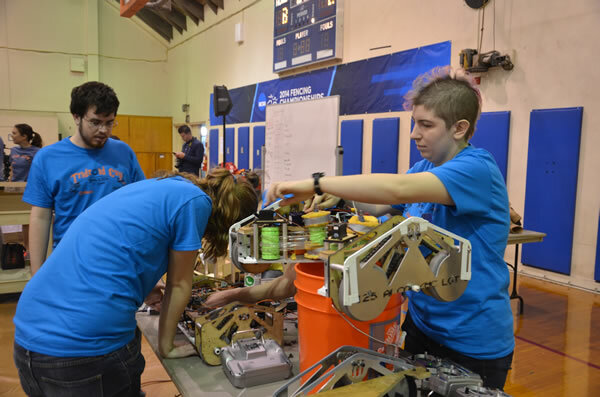 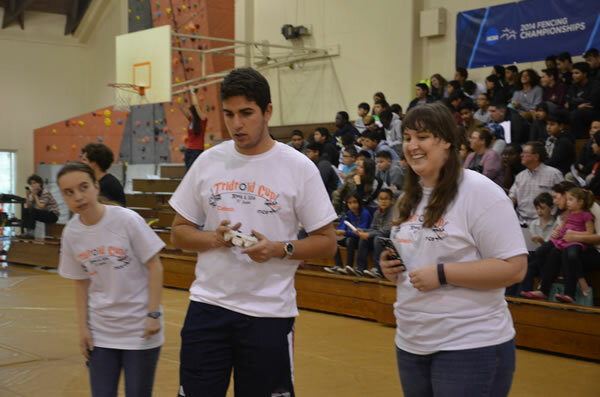 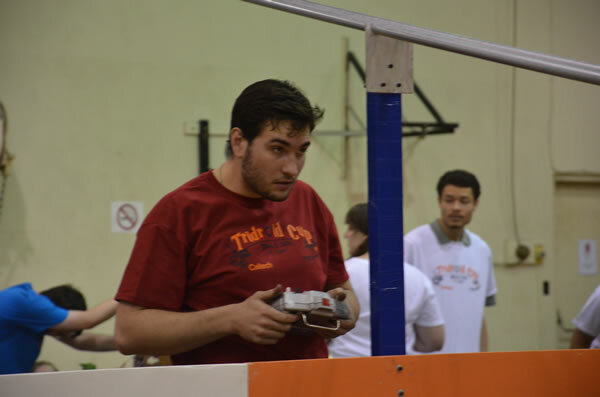 Teams then assume radio control of their robots for a 4-minute period and attempt to score as many goals as possible from anywhere on the field. 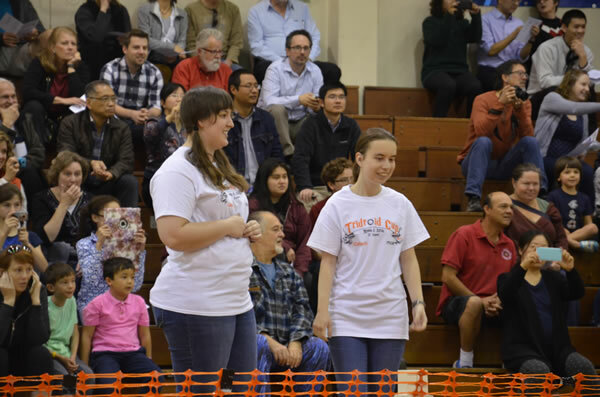 As balls are scored, they will be promptly removed from the goals by field attendants and placed onto a return rail. 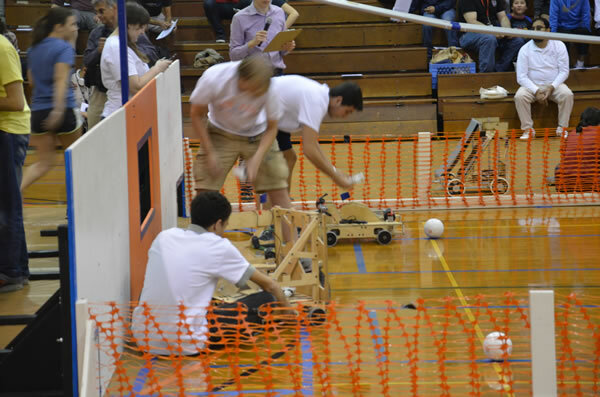 The balls reenter into play on the opposite side of the field from where they were scored. 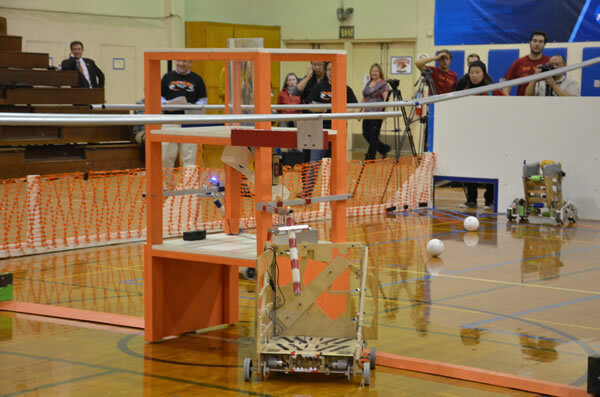 As robots attempt to score they must also deal with opposing robots that may be defending their goal.